The Cowboys and Cobb reached an agreement on a contract Tuesday, Jay Glazer of Fox Sports reports. 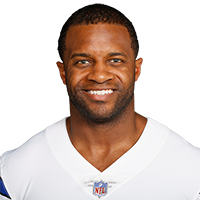 Cobb is visiting with the Cowboys on Monday, Todd Archer of ESPN.com reports. Cobb caught one pass (on five targets), collecting 27 receiving yards during Sunday's 31-0 loss to Detroit. Cobb (concussion) doesn't have an injury designation for Sunday's game against the Lions, Michael Cohen of The Athletic reports. Analysis: The Packers didn't actually practice Friday, but they estimate that Cobb would've been a full participant if they'd held a session. The 28-year-old slot receiver may be playing his final game for the franchise, as his contract expires at the end of the season. With Davante Adams (knee) questionable and Equanimeous St. Brown (concussion) doubtful, Cobb may have a nice opportunity to surpass his usual range of 5-7 targets. Cobb (concussion) was limited in practice Thursday, Rob Demovsky of ESPN.com reports. Analysis: Earlier Thursday, Demovsky relayed Cobb got through the five phases of the concussion protocol, but his listing on the Packers' ensuing injury report suggests otherwise. With his status again murky, Cobb's standing bears monitoring Friday and perhaps into the weekend to get a sense of whether he may return Sunday versus the Lions. In 11 career games against them, he's recorded his second-most catches (48), yards (559) and touchdowns (four) against a given opponent. Cobb was cleared from the concussion protocol Thursday, Rob Demovsky of ESPN.com reports. Cobb (concussion) is participating in the media-access portion of Thursday's practice, Wes Hodkiewicz of the Packers' official site reports. Analysis: The Packers will provide an update later Thursday indicating whether Cobb's activity level constituted full or limited participation. 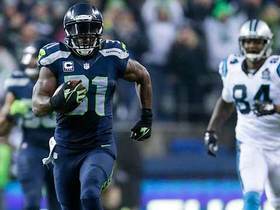 Either way, it would represent a positive step forward for the wideout, who sat out the team's Week 16 win over the Jets with the head injury and was unable to practice Wednesday. Cobb has a shot to gain clearance from the concussion protocol and suit up in Sunday's season finale against the Lions. Cobb (concussion) didn't practice Wednesday, Josh Tolentino of The Athletic reports. Analysis: Cobb has yet to step foot on the practice field since picking up a concussion Week 15 at Chicago. Without a return to drills Thursday or Friday, he'll be in danger of closing out his eighth season with back-to-back absences. It should be noted Davante Adams (undisclosed) and Equanimeous St. Brown (head) also were included in the rehab group Wednesday, so Marquez Valdes-Scantling and Jake Kumerow are in line for elevated workloads this week, at least in practice. Cobb (concussion) is listed as inactive Sunday at the Jets. Cobb (concussion) is listed as doubtful for Sunday's game at the Jets, Tom Silverstein of the Milwaukee Journal Sentinel reports. Cobb (concussion) isn't participating in Thursday's practice, Josh Tolentino of The Athletic reports. Cobb (concussion) isn't practicing Wednesday, Michael Cohen of The Athletic reports. Cobb has entered the concussion protocol, Rob Demovsky of ESPN.com reports. Cobb was evaluated for a concussion near the end of Sunday's 24-17 loss at Chicago, Michael Cohen of The Athletic reports. 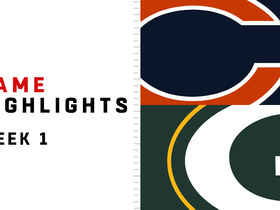 Analysis: With the Packers down 24-14 and driving, Cobb hauled in a pass from Aaron Rodgers and was lit up by Eddie Jackson, drawing a flag that was eventually picked up. Cobb wasn't targeted thereafter and finished with three catches (on seven targets) for 30 yards. If he's diagnosed with a concussion, it would mark the first known head injury of Cobb's eight-year career. Cobb (hamstring) practiced fully Thursday, Michael Cohen of The Athletic reports. Analysis: Cobb is thus ready to go for Sunday's visit to Chicago, whose defense has been yielding to opposing wide receivers this season. 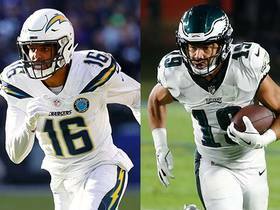 In 12 contests, the unit has allowed 14.2 receptions and 171.5 yards per game to go with 12 touchdowns to the position. One of those scores was a 75-yarder by Cobb that served as the game-winner Week 1. Cobb (hamstring) was a limited practice participant Wednesday, Michael Cohen of The Athletic reports. 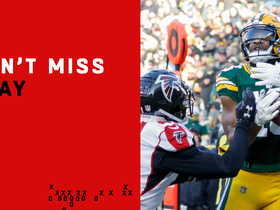 Cobb caught five passes for 43 yards and a touchdown in Sunday's victory over the Falcons. Analysis: Cobb had his most productive game in a while, recording his most yardage in a game and his first score since a Week 1 victory over the Bears. He still did not do all that much outside his 24-yard touchdown in the third quarter, so he is hardly a cinch for Week 15 lineups even with the Packers facing the same Bears squad Cobb torched earlier in the season. Cobb at the least should be the healthiest he has been in a while, as he practiced fully Friday for the first time since early November. Cobb (hamstring) doesn't have an injury designation for Sunday's game versus the Falcons, Michael Cohen of The Athletic reports. Analysis: Cobb was a full practice participant Friday for the first time since Nov. 7, clearing the way for his fourth appearance since Week 3. He'll aim for a better showing than the three receptions for 25 yards that he posted in last week's loss to the Cardinals. On Sunday, he'll take on an Atlanta defense that has given up 8.6 yards per target and 17 total touchdowns to wide receivers in 12 games this season. Cobb (hamstring) was limited in practice Wednesday, Michael Cohen of The Athletic reports. Cobb caught three of five targets for 25 yards in Sunday's 20-17 loss to the Cardinals, playing 61 of 76 snaps (80 percent) on offense. Analysis: Cobb didn't have any workload limitations in his first appearance since Week 9, but he also didn't do much to help the Packers avoid an embarrassing loss. The team may want to consider giving Equanimeous St. Brown or Jake Kumerow some of Cobb's usual snaps over the final four weeks of the season, as a playoff appearance is now out of the question. Cobb is scheduled to become an unrestricted free agent in the offseason. Cobb (hamstring) is listed as active Sunday against the Cardinals, Michael Cohen of The Athletic reports. Analysis: Cobb is upholding his comments from early in the week, when he told Rob Demovsky of ESPN.com that he's "excited to get back out there." After tending to a lingering hamstring injury for more than two months, Cobb will be making just his third appearance since Week 3. In his return, he'll face an Arizona defense that has allowed 155.8 receiving yards per game and 11 touchdowns to wideouts in 11 contests this season. Cobb (hamstring), who is listed as questionable for Sunday's game against the Cardinals, is on track to play, Ian Rapoport of NFL Network reports. Cobb (hamstring) is listed as questionable for Sunday's game against the Cardinals, Darren Urban of the Cardinals' official site reports. Analysis: A limited participant at every practice this week, Cobb said Thursday that he plans to end his three-game streak of absences. It's probably still best to treat him as a game-time decision, considering he's missed six of the last eight games due to issues with his hamstring. The Packers are scheduled for a 1 p.m. EST kickoff, with Equanimeous St. Brown expected to handle a larger role if Cobb is ultimately unable to play. Cobb (hamstring) believes he'll be available to play Sunday against the Cardinals, Rob Demovsky of ESPN.com reports. "I'm excited to get back out there because I know with all the noise that's been said over the past week about [quarterback Aaron Rodgers], he's getting ready to light everybody up this week," Cobb said. "It's going to be a lot of fun and I look forward to helping him out." Cobb (hamstring) was a limited participant in Thursday's practice, Rob Demovsky of ESPN.com reports. Analysis: Cobb was a limited participant all of last week before missing his third straight contest in Sunday's 24-17 win over the Vikings, so he may need to advance to full participation Friday to gain clearance for the Packers' Week 13 matchup with the Cardinals. If Cobb is active for the contest and reclaims his usual role out of the slot, it could result in a reduction of snaps for rookies Marquez Valdes-Scantling and Equanimeous St. Brown (elbow). Cobb (hamstring) practiced in a limited capacity Wednesday, Michael Cohen of The Athletic reports. Analysis: Cobb was quite active in the portion of practice open to the media, taking part in all individual drills, per Josh Tolentino of The Athletic. Once the doors closed, though, Cobb likely was unable to participate during team drills. His upcoming availability would get a positive spin with a full session Thursday or Friday, but he appears destined to get a questionable tag yet again for a Week 13 matchup with the Cardinals. Cobb (hamstring) appeared to take part in every drill during the portion of Wednesday's practice open to the media, Josh Tolentino of The Athletic reports. Analysis: Cobb hasn't logged more than a limited practice session since Nov. 7, so his activity level will be noteworthy as he attempts to end a three-game absence. 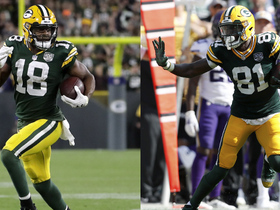 With Geronimo Allison (groin) on injured reserve and Marquez Valdes-Scantling's production tailing off over the past two contests, the Packers offense could use Cobb's veteran savvy and rapport with Aaron Rodgers. Cobb (hamstring) is listed as inactive Sunday in Minnesota, Jason Wahlers of the Packers' official site reports. Cobb (hamstring), who is listed as questionable for Sunday's game against the Vikings, is considered a game-time decision, Ian Rapoport of NFL Network reports. Cobb (hamstring) is listed as questionable for Sunday's game in Minnesota, Michael Cohen of The Athletic reports. Analysis: A limited practice participant throughout the week, Cobb may come down to a game-time decision in his bid to play for the first time since Week 9. He reportedly was limited to individual work during Thursday's practice, but the Packers seem to be holding out hope the slot receiver can rejoin the lineup Sunday night. Despite catching four or more passes in each of his five appearances, Cobb hasn't topped 40 yards since Week 1. Cobb (hamstring) was a limited practice participant Thursday, Michael Cohen of The Athletic reports. Analysis: According to Rob Demovsky of ESPN.com, Cobb didn't progress beyond individual drills before getting on an elliptical bike. On a positive note, Cobb was listed with a "limited" tag on the injury report both Wednesday and Thursday, marking his first such activity since Nov. 9. It remains to be seen if he'll be active for the first time since Week 9 this Sunday at Minnesota, but at least he's trending in the right direction in his recovery from a hamstring issue. Cobb (hamstring) appeared to practice Thursday in a limited fashion, Josh Tolentino of The Athletic reports. Analysis: It doesn't sound like the Packers incorporated Cobb into team drills for their second session of the week, as Rob Demovsky of ESPN.com notes that the wideout did some individual work on the side before jumping on an elliptical machine. While it's good to see that Cobb was involved both Wednesday and Thursday in some fashion, he may need to take contact at Friday's practice to have a realistic shot at returning from a two-game absence Sunday in Minnesota. Cobb (hamstring) appeared to be a limited participant during Wednesday's practice, Ryan Wood of the Green Bay Press-Gazette reports. Analysis: The Packers' first practice report of Week 12 will formally clarify how extensively Cobb was involved in the session, but it's nonetheless a step in the right direction for the wideout, who has missed five of the team's last seven games with the lingering hamstring issue. If he gains clearance to play Week 12 in Minnesota, Cobb will likely be featured regularly as the Packers' slot man in three-receiver sets. Cobb (hamstring) has been ruled out for Thursday's game at Seattle. Analysis: Cobb was one of four Packers who didn't travel with the team Tuesday, likely to receive more treatment with the hope some of them would be cleared to go to Seattle. None of the four will make the trip, though. In Cobb's place, Equanimeous St. Brown will work in three-wideout sets alongside Davante Adams and Marquez Valdes-Scantling. Cobb (hamstring) isn't slated to travel with the Packers to Seattle on Tuesday evening, but his status for Thursday's game against the Seahawks remains in question, Michael Cohen of The Athletic reports. Cobb (hamstring) was listed as a non-participant on Monday's estimated injury report, Tom Silverstein of the Milwaukee Journal Sentinel reports. Cobb (hamstring) is inactive for Sunday's game against the Dolphins. Analysis: With two games in the span of five days, the Packers are giving Cobb the day off due to the hamstring injury that forced absences Weeks 4-6. Cobb will look to gain clearance for Thursday's visit to Seattle, but before then Aaron Rodgers will lean on the pass-catching trio of Davante Adams, Marquez Valdes-Scantling and Jimmy Graham. If in search of a bye-week fill-in, Equanimeous St. Brown also should experience an uptick in usage with Cobb out of the lineup. Cobb (hamstring) remained limited at Friday's practice and is listed as questionable for Sunday's game against the Dolphins, Tom Silverstein of the Milwaukee Journal Sentinel reports. Analysis: Cobb suffered a mid-week setback with his lingering hammy injury, logging limited practices Thursday and Friday after a full session Wednesday. He appears truly questionable ahead of Sunday's 4:25 PM ET kickoff, with the Packers potentially leaning toward a cautious approach for a game they are heavily favored to win. Equanimeous St. Brown would be the obvious choice to join Davante Adams and Marquez Valdes-Scantling in three-wide sets if Cobb isn't able to play. Cobb caught five passes for 24 yards on six targets in Sunday's 31-17 loss to the Patriots. Cobb (hamstring) is listed as active Sunday at New England, the Packers' official site reports. Cobb (hamstring), who is listed as questionable for Sunday's game against the Patriots, is expected to play, Ian Rapoport of NFL Network reports. Cobb (hamstring) was a full practice participant Friday and is listed as questionable for Sunday's game at New England, Tom Silverstein of the Milwaukee Journal Sentinel reports. Analysis: Cobb followed the same practice schedule last week, logging two limited practices and one full session prior to catching four of five targets for 40 yards in a 29-27 loss to the Rams. He only played 46 percent of snaps on offense in that contest, but he should get more playing time Week 9 with Geronimo Allison (hamstring) listed as doubtful. 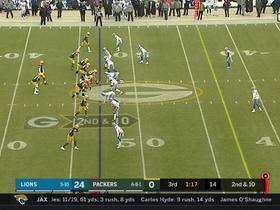 Green Bay Packers quarterback Aaron Rodgers throws a perfectly-placed 24-yard touchdown pass to wide receiver Randall Cobb. 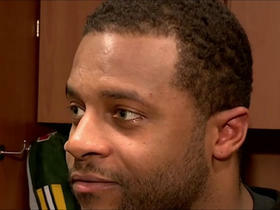 Green Bay Packers wide receiver Randall Cobb has some strong feelings about how quarterback Aaron Rodgers will perform in Week 13 against the Arizona Cardinals. 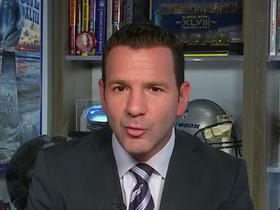 NFL Network Insider Ian Rapoport highlights the Green Bay Packers wide receiver that's expected to stand in for wide receiver Randall Cobb on Sunday against the Detroit Lions in Week 5. 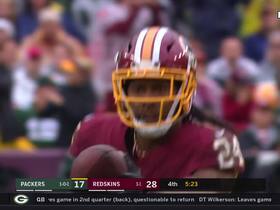 Green Bay Packers quarterback Aaron Rodgers throws a short pass to wide receiver Randall Cobb who is stripped by Washington Redskins cornerback Fabian Moreau and cornerback Josh Norman hops on the fumble recovery for the Redskins. 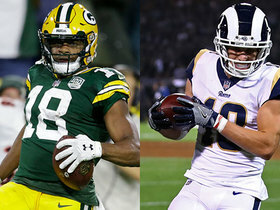 NFL Network's Kay Adams talks about who is a better fantasy option in Week 2 between Packers wide receiver Randall Cobb and Rams wide receiver Cooper Kupp.